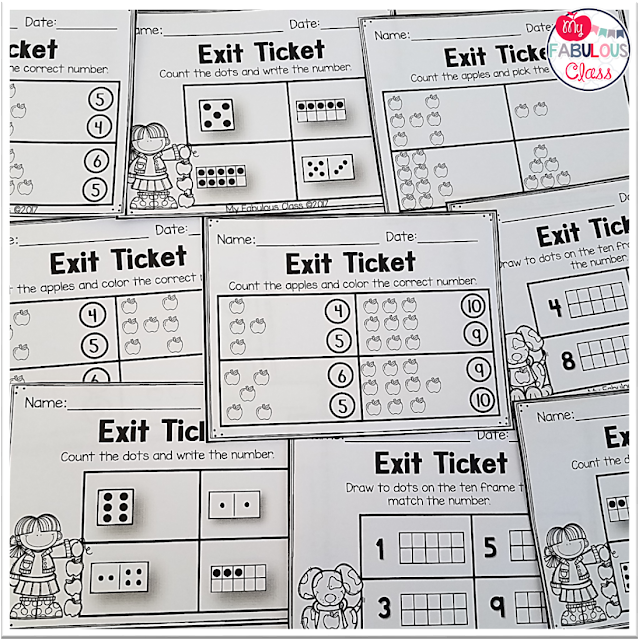 Exit Tickets are a great way to quickly assess how well students understand a concept. I have had a people ask me how I organize my Exit Tickets after students take them. I know some teachers send them home, unless they are collecting data or intervention. I like to keep them. You never know when a student might struggle later. Plus, they are aligned to all of the Common Core Standards which makes report cards easier, I have a few different ideas for you. Hopefully, one will fit your teaching styles. If you haven't bought Exit Tickets yet, now is a good time. 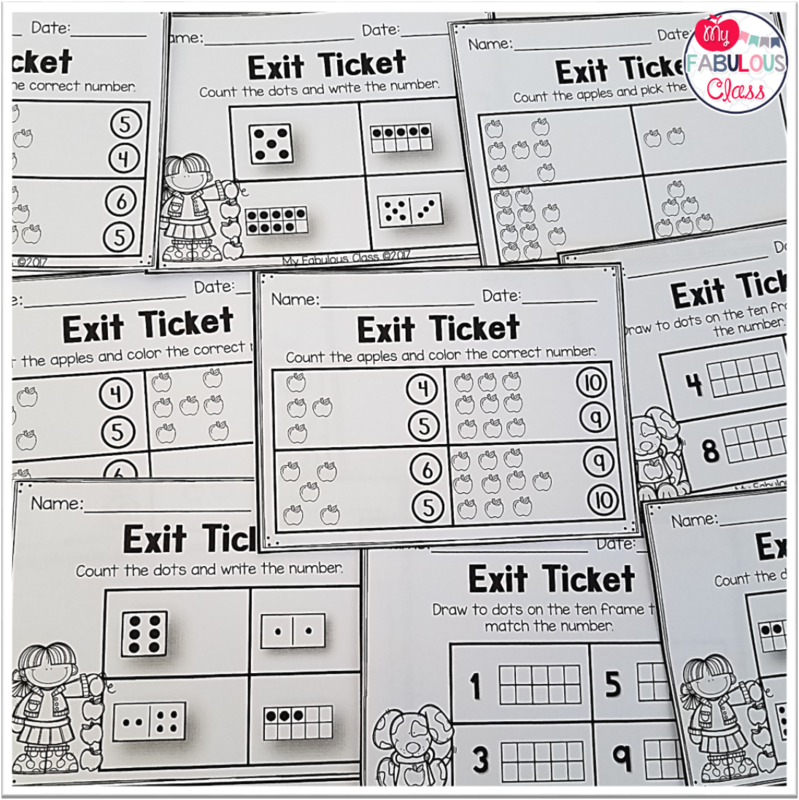 For a limited time, I have my ELA Exit Ticket Bundle and my Math Exit Ticket Bundle ON SALE for 50% off. The easiest way is to give every student a file folder and put them in the folder as students complete them. 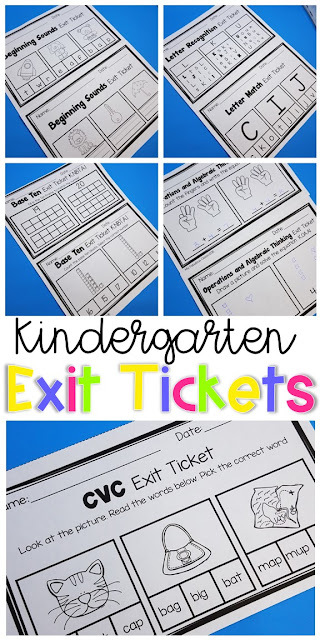 I try to do 1-2 exit tickets every week for Math and for Literacy. At the end of the grading period, I will use these to help with grades. If the student is doing well and I do not need any additional documentation, I will send these home. Do your students have a traveling notebook for Math and Literacy? Have students glue them into their notebook. Then, they are organized for the year. If you print them at 85%, you will actually be able to print two at a time. Teacher Tip: Did you know you print center recording sheets at 85% as well to glue in their notebook. I check 3-5 notebooks everyday, allowing me to check them all by the end of the week. I can quickly see who understands a concept, and who doesn't. Thee next two ideas can be used with a pronged folder or a binder, depending on your preferred organization. I would not put this is a binder or folder that goes home everyday. Instead, I would create a data binder or folder at school for each student. In this top picture, I placed them in a page protector. I put all of the Letter Recognition tickets on the bottom and all of the letter recognition on the top. This is how I store mine and I was surprised that they didn't slide down. If you are concerned, put a binder blip at the top and then they won't slip. 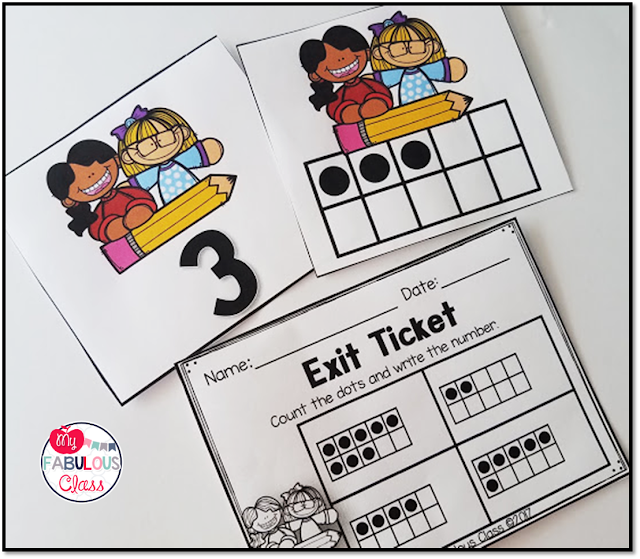 I also have Math Centers that come with thematic Exit Tickets specific to each center. As an added bonus, you also get printables. 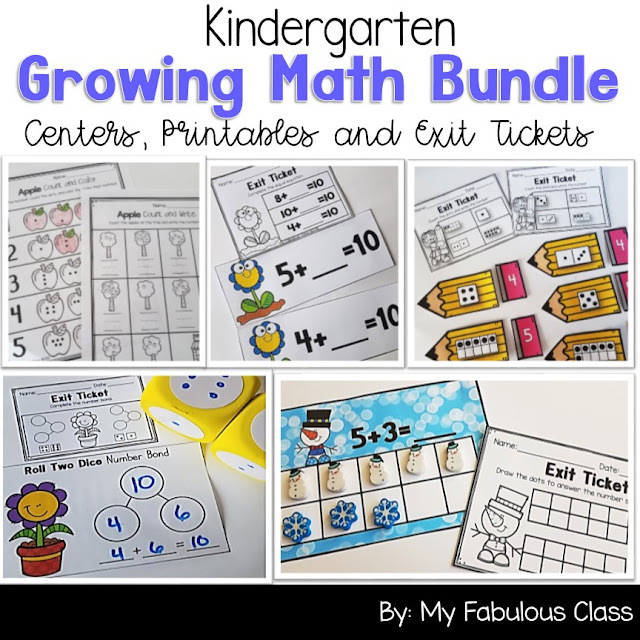 Buy Math Centers with Exit Tickets and Printables HERE.